the fray | Play Happy. 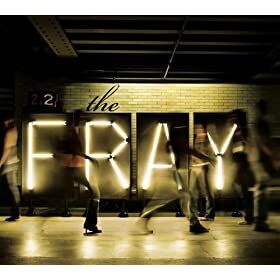 The Fray’s follow-up to 2005’s two-time platinum “How To Save A Life” is released today. I would argue that this album, the band’s second LP, shows little-to-no evolution or departure from the Fray’s formula for “How To Save A Life,” except that this disc seems a bit softer, with the drums and backing guitars taking a quieter backseat to the piano. This isn’t necessarily a criticism, since I think they have sucecssfully avoided any sophomore slump but I’m not sure the album is going to set the music scene on fire. Or even warm it. Buy the album: iTunes (Standard Edition); iTunes (Deluxe Edition); Amazon (Standard Edition).